In the past few months, Freedom Mobile has added an additional band of spectrum, Band 13 LTE, which is a 700MHz low-band spectrum. What does this mean? Essentially, it should allow a stronger signal to be available and also penetrate walls. Extended Range LTE isn’t available everywhere yet, however the below outlines where it is available as of January 2019. 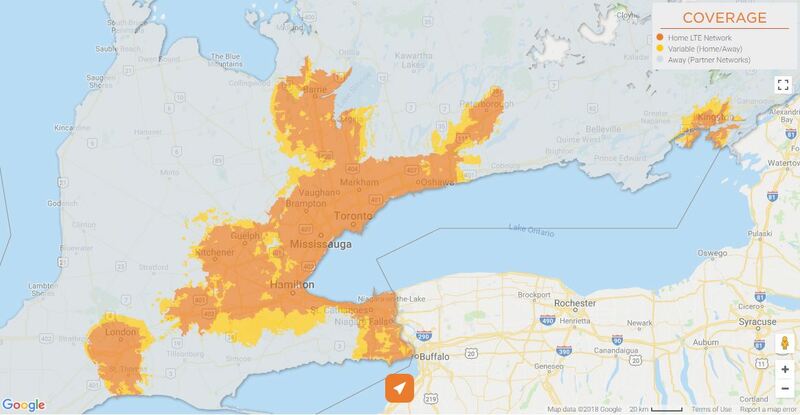 We believe Freedom Mobile will continue to add more areas in 2019. Update August 2018 – Freedom Mobile has made great strides in expanding their LTE service since we originally wrote this piece last year. LTE network coverage is now available in Calgary and Edmonton and has expanded to many suburbs as well across the country. To see current coverage maps, visit this post. As of May 17, 2017, Freedom Mobile has announced their expansion of their LTE network coverage to Calgary and Edmonton. This means that data speeds will be much faster in these two cities. Also, users can expect faster downloads and better streaming from their mobile devices as compared to the old service. This service was initially installed in the Greater Toronto Area, Southern Ontario, and the Greater Vancouver Area and has continued to other areas in the country. According to Paul McAleese, COO of Freedom Mobile, the change comes in response to customers’ needs for faster data capabilities. They aim to offer a reliable network that is fast and easy to use with a fair price that keeps them competitive in the wireless business. To use the new and improved LTE network, customers must have a device that supports LTE. These can be purchased at the Freedom Mobile stores. These include phones like the recent Samsung Galaxy S8. As Freedom Mobile has expanded their LTE coverage, they have also expanded the phones they have available in stores, letting customers pick from a wider selection. To begin using LTE, customers must join one of the affordable LTE data plans and choose an LTE-compatible phone. These data plans start at $30 per month. Along with faster data available to Freedom Mobile customers, the company also provides a free Wi-Fi trial to their customers, which allows users to save their data and connect to Freedom Wi-Fi. There are over 65,000 Wi-Fi hotspots around Western Canada for their customers’ convenience. This Wi-Fi can be used for voice calls with supported handsets, as well as for web browsing and other general use. To find out more about this new service and to see maps with projected LTE network coverage, go to Freedom Mobile’s website. There, customers can find information about coverage, along with available devices and new plan rates.